Yttrium (Y). Diagram of the nuclear composition and electron configuration of an atom of yttrium-89 (atomic number: 39), the most common isotope of this element. The nucleus consists of 39 protons (red) and 50 neutrons (blue). 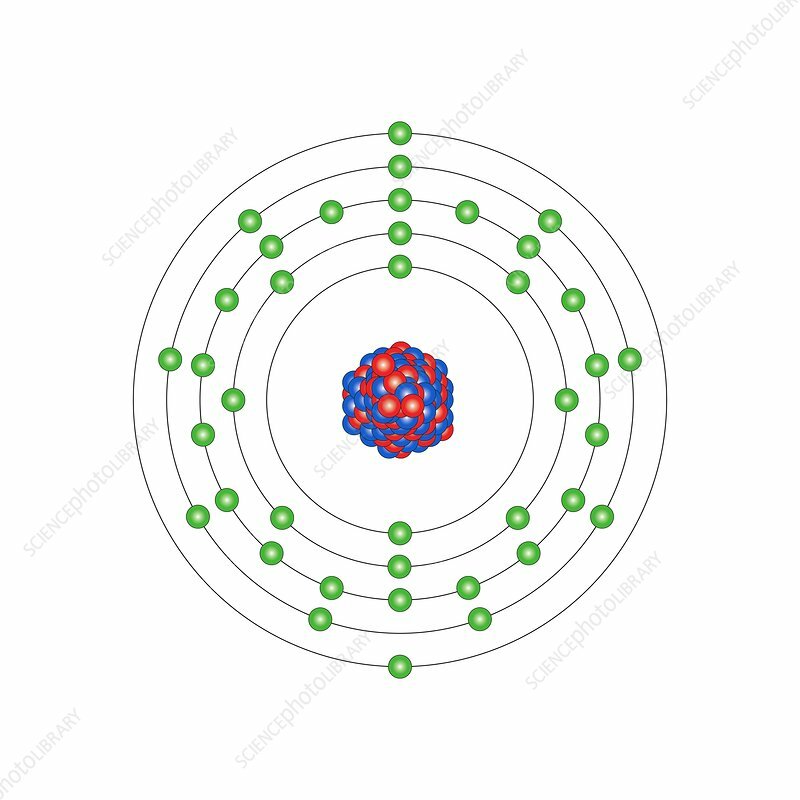 The stability of an element's outer electrons determines its chemical and physical properties. Yttrium is a transition metal in group 3, period 5, and the d-block of the periodic table. However, it is chemically similar to the lanthanides. It melts at 1526 degrees Celsius. Uses include phosphors, lasers and superconductors.